The students rise when Sarah Muja Longa enters the classroom. Longa is dressed in bold yellows and reds and commands an easy respect. Though she sits in the back of the classroom, she makes her presence known, working one-on-one with children who are struggling. It takes 30 minutes or more before she begins to teach, though. That’s because Longa isn’t there to educate the children; she’s there to train the teachers. 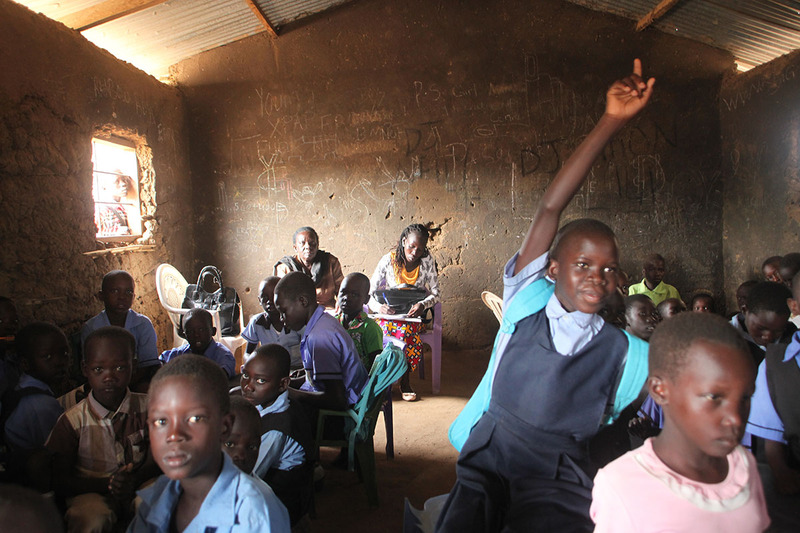 Five decades of war and upheaval in South Sudan have had an inevitable impact on its education system. Less than 40 percent of the new nation’s teachers are properly trained, and it falls to civil servants, many of them under-qualified, to ensure the direct transfer of relevant skills and structured, pedagogical knowledge to teachers. 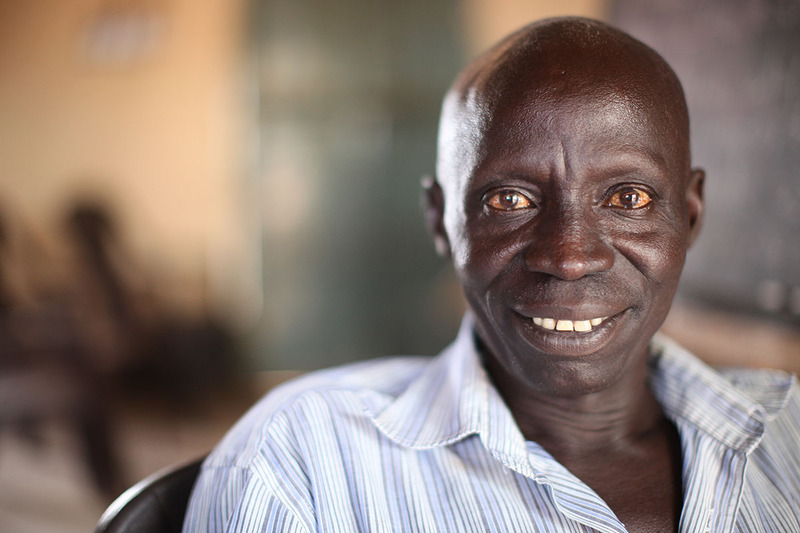 Longa, 28, a primary school inspector in Juba, South Sudan, is an exception. She’s been trained to bring about change in the classroom, thanks to the USAID-funded Room to Learn (RtL) project, implemented by Winrock, which has worked with more than 230 county- and community-level education officials. As she employs her newfound skills, she’s become an inspiration to teachers, colleagues and students. Sarah Mujah Longa, 28, is a school inspector in Juba, South Sudan. She has had a real impact on teachers in her region. “School inspectors are expected to be role models. Teachers look up to them and depend on them for support. It is so important that inspectors such as myself receive training to be better able to support teachers in South Sudan,” says Longa. The RtL project, which ends later this month, has ensured that Longa and other officials are better able to provide adequate, ongoing assistance to teachers — including the 1,500 teachers already trained by RtL — while also ensuring they are able to participate actively, transparently and without discrimination in the monitoring and evaluation of the education processes. Benaiah Duku Enoch, 42, an English teacher at Merkolong Primary School, is one of the educators Longa has worked with. Enoch was strong and engaging with the children and kept them interested, Longa said. But his class control was poor and he didn’t emphasize the importance of reading aloud. Later, Longa will conduct a training on reading aloud for Enoch and other teachers. Benaiah Duku Enoch, 42, is an English teacher at Merkolong Primary School. Enoch appreciates Longa’s guidance. “When you are able to go to work, when you are able to do what is expected of you, you can go home feeling proud and happy,” he says. The strategy Longa employs goes beyond enhancing individual skills; it creates an environment where school inspection can be effectively implemented, independent of continuous outside support. And it will continue after RtL has ended, creating a ripple effect of change that will last for years to come. “These workshops by RtL are critical; they build up the capacity of both the teachers and officials together, which is essential,” says John Gowon, the acting director of administration at the Central Equatoria State Ministry of Education. The Room to Learn project is ending, but it leaves behind a legacy of learning.